Rider numbers are out. As expected, Pereiro has the lowest number in the Tour, but at 11, since Tour organizers chose to skip the coveted number 1. Pereiro's Caisse d'Epargne squad is number 11-19; followed by T-Mobile with Michael Rogers at 21; CSC with Sastre at 31; Predictor-Lotto with Evans at 41; Rabobank's Menchov at Phil Liggett's favorite, number 51; AG2R with Moreau at 61; Zubeldia leading Euskaltel-Euskadi in 71; Discovery Channel's Levi Leipheimer in 111; Tour favorite Alexandre Vinokourov wears 191 for Astana; and David Millar in 201 for Saunier Duval-Prodir. Other Americans: George Hincapie wears 114; Dave Zabriskie 39; Christian Vande Velde 37; Chris Horner 44; and Fred Rodriguez 47. Prologue start times for tomorrow are apparently available, but I can't find a complete listing yet; links welcome. Chris Horner (Predictor-Lotto) is the first American out of the gate at 3:38 p.m. in 39th position.  61. Dave Zabriskie (CSC), 4 p.m.
 102. Fred Rodriguez (Predictor-Lotto), 4:41 p.m.
 103. Christian Vande Velde (CSC), 4:42 p.m.
 158. George Hincapie (Discovery Channel), 5:37 p.m.
 179. Levi Leipheimer (Discovery Channel), 5:58 p.m.
Those are London times, so that's 10:38 a.m. Eastern for Horner and 12:58 p.m. Eastern for Leipheimer. Looks like Versus will be live for all of them. The Italian Olympic committee recommends a 1-year ban on super sprinter Alessandro Petacchi, after Petacchi tested high for the asthma medication salbutamol in May. Petacchi, who won 5 stages of this year's Giro d'Italia, holds a “therapeutic use exemption,” or TUE, for the otherwise banned substance. With a TUE, he is presumed innocent with salbutamol levels of up to 1,000 nanograms/millileter, but one test reported a level of 1,320 nanograms/millileter. Petacchi pled his case with an official of CONI, the Italian Olympic committee, on Monday. Petacchi is the leader of the Milram Tour team, which is largely built around delivering him to the front of the pack with 200 meters to the finish line of the race's flat stages. In light of the recommendation, Milram removed Petacchi from its provisional Tour roster, replacing him with Andrey Grivko of Ukraine. T-Mobile will start new German time-trial champion Bert Grabsch ahead of 2-time Tour stage winner Giuseppe Guerini. Guerini still is suffering from stomach problems that knocked him out of the Tour de Suisse. Grabsch, starting his 4th Tour de France, will race against his brother Ralf, who rides for Milram. I missed Barloworld's official announcement on Friday, when they expanded from 6 confirmed riders to 9. The team eliminated one of its preannounced 6, Fabrizio Guidi, then added Paolo Longo Borghini, Gianpaolo Cheula, Enrico Degano, and Kastantsin Borghini. Thomas, 22, would be the first Welsh Tour rider since 1968 (Colin Lewis). That should finish the list of provisional rosters for this year's Tour. Quick.Step Innergetic | Quick.Step Innergetic ready for Tour! Quick Step's final Tour roster is out. Their new Italian national champion, Giovanni Visconti, won't be in the Tour, nor will Paolo Bettini. Looks like a hard team that can help Tom Boonen take a shot at the overall green jersey. Too bad we won't see Magnus Backstedt in his new Swedish national champion's jersey. Wegelius should help the team get some publicity during the British stages. Here's all I have of the provisional lineups. Claudio Corioni will complete the Lampre-Fondital Tour de France roster. The team had pre-announced 8 riders, and today confirmed the entire squad. Valjavec took the Slovenian national championships yesterday. Predictor-Lotto brings a lot of different tools to the Tour this year. Robbie McEwen is looking for a 4th green jersey, while Cadel Evans looks to improve on his overall 5th place from last year. Predictor-Lotto also ties with Discovery Channel and CSC for the most Americans on a single team, with McEwen setup man Freddie Rodriguez and Chris Horner. Meanwhile, wild card Agritubel will try to duplicate its success last year, when Juan Miguel Mercado took Stage 10 to Pau. The French squads are pinning down their final Tour rosters. At Française des Jeux, Sebastien Joly and Bradley McGee are unavailable, leaving Sandy Casar the team's remote GC hope. Thomas Lovkvist may factor in the young riders' competition, as could Remy Gregorio, a heralded young Frenchman. Four rookies: Chavanel, Delage, Di Gregorio, and Ladagnous. At Bouyges Telecom, former world champion Laurent Brochard, the mullet-est man on two wheels, will miss the Tour. At Credit Agricole, Pietro Caucchioli can't start. Saturday, Gerolsteiner confirmed their squad for the 2007 Tour. Their alternates are David Kopp and Volker Ordowski, both of Germany. On Sunday, Wegmann went out and won the German national road championships, ahead of Patrik Sinkewitz, with Christian Knees winning the field sprint almost 30 seconds behind. Saunier Duval's José Angel Gomez Marchante will miss the Tour, after recent stomach problems were diagnosed as ulcerative colitis. He'll undergo a colonoscopy and other tests on Wednesday. The team hopes he'll return to action before the Vuelta a España. Meanwhile, David Cañada will make his 4th Tour start in his teammate's place. 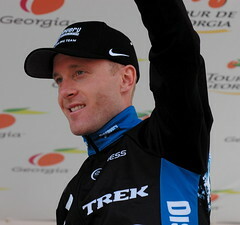 Cañada was 3rd at the Tour de Georgia in April. Two of the peloton's best time triallists in Cancellara and Zabriskie and two possible GC threats in Sastre and Schleck. Left off were veterans Bobby Julich, and Karsten Kroon. Update: And I somehow left off Jens Voigt, leaving CSC with only 8 riders. Fixed. Alessandro Petacchi, suspended and facing a hearing next week on a high salbutamol reading registered during the Giro d'Italia, nevertheless highlights the Team Milram 2007 Tour roster. Six-time green jersey winner Erik Zabel, who recently confessed to using EPO to train for the Tour while riding for Telekom in 1996, is also on the squad, which will likely focus on sprint wins by the pair. Update: Andriy Grivko will replace Petacchi after a CONI official recommended a 1-year suspension for his salbutamol positive. One Brit in, one Brit out at T-Mobile, as 22-year-old Mark Cavendish rides a string of early-season victories to a Tour start in London, but Roger Hammond misses out again. The team will ride for Australia's Michael Rogers, who aims for a top-5 finish, with two sprint threats, Cavendish and Bernhard Eisel, and some experienced support riders in Kim Kirchen, Patrik Sinkewitz, Giuseppe Guerini, and Axel Merckx. Update: The team will start Grabsch instead of Guerini. Gerdemann, Cavendish, and Burghardt all are slated to make their first Tour starts. cyclingnews.com | Hammond hoping as Tour approaches: "The thought of the Tour in Britain is great," he said. "I am trying not to get too excited about it just in case… I don't like to get too built up for something and then not do it. The Astana team of Alexandre Vinokourov named its Tour roster today. Matthias Kessler and Eddy Mazzoleni both are off the Tour squad, while investigators look into possible doping involvement by each. Vinokourov is the favorite going into this year's Tour, and even without Mazzoleni (3rd at the Giro d'Italia this year) and Kessler (who won a Tour stage last year), he brings a potent squad. It includes Andreas Klöden, who was 2nd in the 2004 Tour, reigning Kazakhstan national champion Andrey Kashechkin, and double Giro winner Paolo Savoldelli. No major surprises from America's Team, as Discovery Channel brings a Tour squad that can support the podium hopes (dreams?) 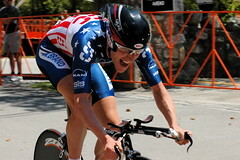 of Levi Leipheimer as well as chasing a few stage wins. Director Johan Bruyneel said he has three goals for the Tour: Leipheimer on the podium, a stage win for the team, and Contador in the Best Young Rider jersey in Paris. Hincapie won Stage 15 of the 2005 Tour, and led the race for a day last year. Popovych took Stage 12 of last year's Tour, and was himself the Best Young Rider in 2005. Leipheimer was 6th overall in the 2005 Tour, and is coming off a win at this year's Tour of California and two stage wins at the Tour de Georgia. Stijn Devolder, who had been racing very well, will watch the Tour from home, as will veterans José Luis Rubiera and Pavel Padrnos. With some discussion of Devolder's non-selection. Bruyneel tips Vinokourov, with nods to Cadel Evans, Vladimir Karpets, Denis Menchov, and Carlos Sastre. He also admitted the doping craziness is impacting the team's search for a new sponsor. Saunier Duval/Prodir is chasing stage wins at this year's Tour, as they've chosen an experienced squad with an eye on the mountains. Update: David Cañada replaces Jose Angel Gomez Marchante. Reserves are Angel Gomez and Jesus del Nero. Mayo won Stage 8 up Alpe d'Huez in the 2003 Tour and Stage 19 of this year's Giro d'Italia. David de la Fuente was the most combative rider of last year's Tour, after long attacks on Stage 2 and Stage 11. Rinero took the King of the Mountains in the 1998 Tour. Haimar Zubeldia will carry the GC hopes of the Basque team in this year's Tour. He'll be joined by one of cycling's greatest names, sprinter Iñaki Isasi, Mikel Astarloza, and Iñigo Landaluze. Zubeldia finished 5th in the 2003 Tour. Landaluze won the 2005 Dauphiné Libéré. Plaza won the final TT at the 2005 Vuelta a España. Cofidis has announced a GC-free roster for the 2007 Tour de France. Wiggins is focused on the race's first 7.9 kilometers: He'll judge his Tour by his performance in the prologue. Augé won Stage 8 of the 2002 Tour; Verbrugghe won Stage 15 of the 2001 Tour. David Moncoutie is still recovering from a crash at the Tour of Romandy, and I won't get to make my favorite cycling nickname joke, since the team left off Leonardo “L” Duque. Alternates are Spain's Pedro Horrillo and Koos Moerenhout of the Netherlands. Menchov is the team's GC threat, and was best young rider of the Tour in 2003. 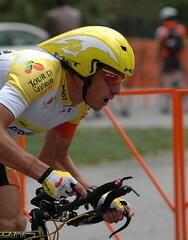 Rasmussen won the king of the mountains competition in 2005 and 2006. Six Rabobank riders have won Tour stages: Boogerd, Flecha, Freire, Menchov, Rasmussen, and Weening. Quoting HLN.be, CyclingNews reports that, barring last-minute changes, Caisse d'Epargne has chosen its Tour squad. Update: They dropped Brard and Sanchez in favor of David Arroyo and José Ivan Gutierrez.